NA meeting passes 'Medical Education Bill' with majority - Integration Through Media ....! 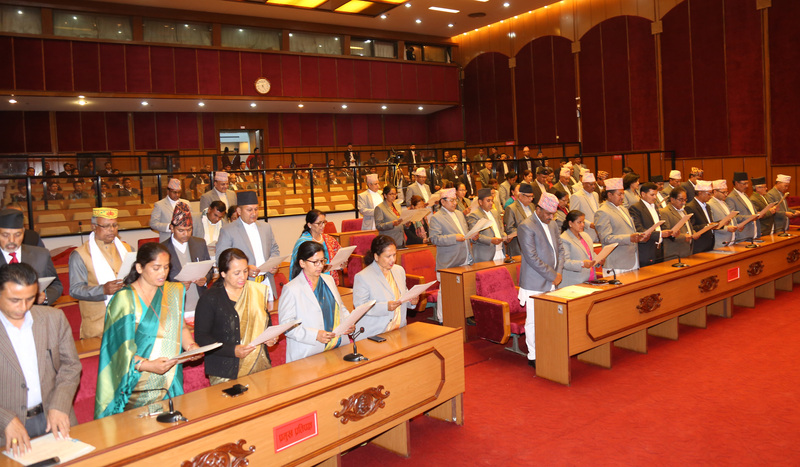 KATHMANDU: Today’s National Assembly meeting endorsed ‘National Medical Education Bill, 2075’ with majority amid protests by main opposition Nepali Congress. Prior to the bill’s passage, Minister for Education, Science and Technology Giriraj Mani Pokharel presented a proposal to have a clause-wise discussion on the Bill. Three lawmakers of the Upper House had suggested an amendment to the proposal received from the House of Representatives, the Lower House of the Federal Parliament, with its message. Presenting the amendment proposal, lawmaker Brishesh Chandra Lal demanded that the bill be sent to the legislation committee with amendment. “The agreement reached with fasting, Dr Govinda KC, should be implemented word by word. Why the government stepped back if the agreement was struck in line with the constitution,” he queried. Other two lawmakers–Radhe Shyam Adhikari and Sarita Prasain–who proposed a bill amendment, refused to take part in the discussion in protest. Responding to the queries, Minister Pokharel claimed that the bill has incorporated the main aspects of the agreement reached with Dr KC. The NA will next meet at 1pm on February 3.